has been teaching and coaching acting in Los Angeles for over 20 years. She holds beginning and master classes for young actors and also offers Private coaching and Parent consultations. She has successfully coached many young performers to series regular and recurring roles on Modern Family, Timeless, Scorpion, Grey's Anatomy, Austin & Ally and This Is Us, in addition to a variety of Guest Starring and Supporting roles on shows and feature films including NCIS, CSI Miami, Everybody Loves Raymond, CSI NY, World War Z, Skyscraper and many many more!! 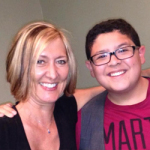 Helen was the on-set acting coach for Nickelodeon's hit TV show, The Haunted Hathaways as well as other shows and pilots. She is a NY trained professional actress and stand-up comic and has appeared in numerous feature films, TV shows and national commercials. I was the shyest kid in the world. Helen really broke me out of my shell. Go to Helen’s class. It’s amazing! 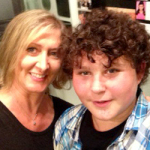 Modern Family, The Muppets, Austin & Ally..
Helen helped me with all my auditions by teaching me to be myself. She helped me find my confidence and brought out the best in me. I love Helen! Austin & Ally, Paul Blart: Mall Cop.. I love Helen. She has taught me how to keep it real. Her class is so much fun and entertaining to be in.